The Quit Doc Research and Education Foundation recently named Courtney Moyett as the Tobacco Prevention Specialist of Okeechobee County, filling the void left by the departure of Candace Pope. Courtney will also be responsible for facilitating the Tobacco Free Partnership of Okeechobee County, a coalition of community leaders working together on tobacco issues that affect the residents of Okeechobee County, particularly its most vulnerable residents: youth and senior citizens. Courtney will have big shoes to fill! Her predecessor, Candace Pope, has built an amazingly strong coalition in Okeechobee County during her 18 months with Quit Doc. Candace recently resigned for personal reasons, but she intends to remain active on tobacco prevention issues in Okeechobee County as a member of the Tobacco Free Partnership. Before stepping down from her position, Candace actively recruited Courtney to fill the position to make sure that there was a smooth transition. "I am very excited to become Quit Doc’s newest team member for Okeechobee County," said Courtney. "During the last year, I have worked as a community partner with Candace Pope, which will make for an exciting and smooth transition. I am well rooted in Okeechobee County, spending the majority of my time volunteering for many non-profits, which will make it easy for me to hit the ground running. I look forward to continuing the education, prevention, and treatment of tobacco in my community." Most of you may know Courtney from her position as an Account Manager at Workforce Solutions, where she was responsible for Okeechobee County and Western Martin County. As an Account Manager within the Business Services Unit Moyett provided personalized services to businesses and helped support their human resources department, including job postings, recruitment events, labor market information and grants assisting in offsetting the initial costs associated with new hires. Moyett worked closely with area businesses building and nurturing their relationship by identifying and fulfilling their human resource needs. This experience will be an asset as Courtney works with businesses to create smoke-free campuses while promoting employer-based tobacco cessation programs. Prior to joining Workforce Solutions Moyett served as the Litigation Support Specialist for a personal injury law firm on the Treasure Coast. As the litigation support specialist, she worked with the paralegal in preparing cases for trial, medical specials, intakes, and the daily operations of the Okeechobee office. Prior to joining the firm Moyett worked in the healthcare industry for ten years, bringing a vast array of experience to the firm. 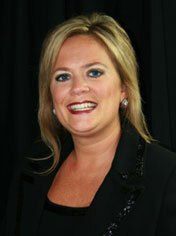 During her time at the firm Moyett also served as the community liaison for Okeechobee County. She was responsible for attending all community events as well as organizing the yearly Main Street Mixer. Moyett stays busy volunteering her time and giving back to Okeechobee County. Currently Moyett sits on the Board of The Kiwanis Club of Okeechobee and is an Executive Board Member for Okeechobee Main Street. She is also a member of the Okeechobee County Chamber of Commerce, Okeechobee Business Women Networking Group, B.R.A.T Club, Okeechobee Teen Dance and past committee chair for the American Cancer Society Relay for Life. The Partnership will continue to work on several initiatives to reduce youth access to tobacco products, to reduce illnesses and exposure to secondhand smoke, and to promote tobacco cessation services throughout the county. The Students Working Against Tobacco (SWAT) Program will continue to be an active part of the partnership in Okeechobee County. Florida’s SWAT Program has been a model for other states, and remains a very effective youth prevention program. For more information, or to schedule a program, you can contact Courtney by calling 863-801-9140, or by email at cmoyett@quitdoc.com.